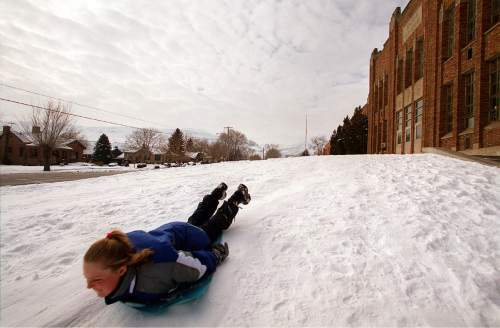 Whatever happened to ... Copperton&apos;s Bingham High? History • Before 1975, thousands of students funneled through the campus in the shadow of Kennecott's mine. These days, there is little evidence that an old Bingham High ever existed in the Salt Lake County hamlet of Copperton at the edge Kennecott&apos;s massive mine. The large "B" on the hillside remains. If someone looks closely, evidence of a football stadium can be seen at the back of the vacant lot where the school once stood. 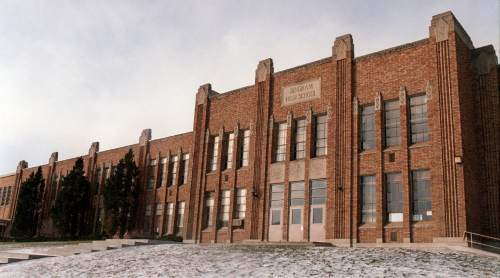 According to Bingham historian and former teacher Scott Crump, the building was actually the fourth of four Bingham Highs once located in the Bingham Canyon area. 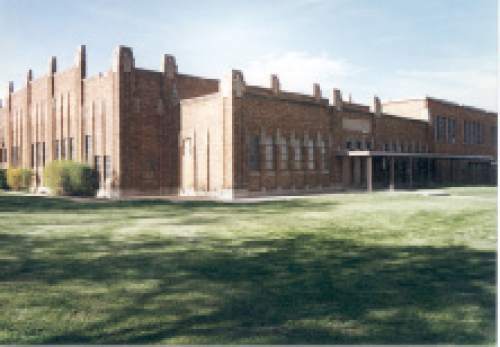 The school&apos;s history dates to 1908 with the arrival of 12 freshmen at a campus located above Canyon Hall in the old town of Bingham. Jordan School District began building a new school along Bingham&apos;s Main Street in 1910. That school, which cost $35,000 and opened two years later, housed students from Bingham, Copperfield, Highland Boy and Lark. Many took horse-drawn buses to campus. 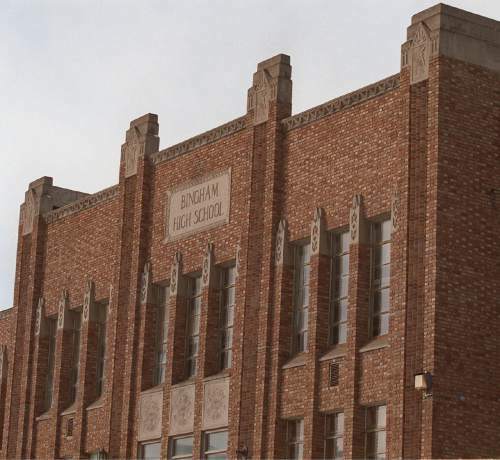 The student body outgrew the school and, in 1924, Bingham High moved again, this time just up the street to a blackish-blue three-story brick building. The hillside&apos;s landmark B sprouted near the canyon&apos;s mouth on April 8, 1927. "We whitewashed it every year until two years ago," Crump said. "When they had the big landslide at Kennecott, they were trucking out ore and waste beneath the B so they haven&apos;t let us do that" since then. 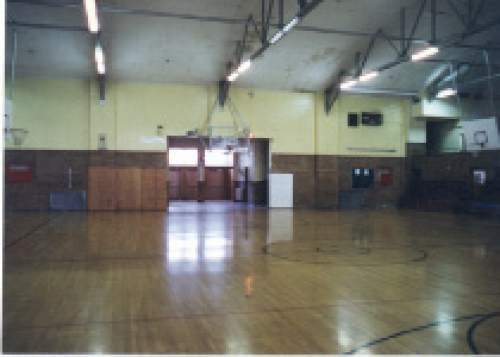 In 1931, the school moved into a $282,362 structure with 26 classrooms and a gym. The Copperton school opened with an enrollment of 616 students. The school&apos;s football and baseball stadiums went up during the Great Depression, thanks to labor from the Works Progress Administration, Crump explained. Later in the 1930s, Kennecott donated lights for stadiums at the old Bingham High and Magna&apos;s Cyprus High. Though the expanding mine slowly swallowed up the town of Bingham, the school remained, with students bused in from Herriman, Riverton, Bluffdale, South Jordan and West Jordan. 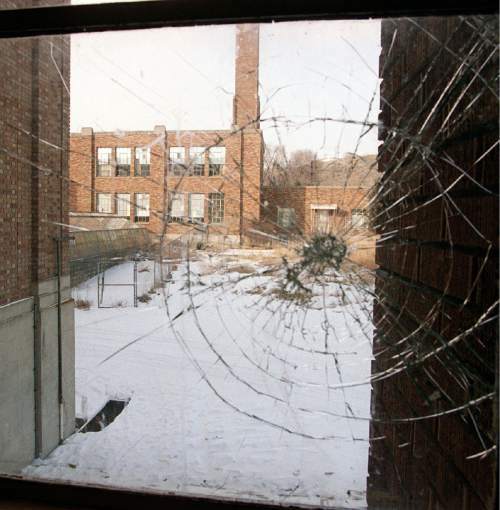 Explosive growth in southwestern Salt Lake County eventually overwhelmed the school. Officials bought land for what would become present-day Bingham High at 2160 W. 10400 South in South Jordan. 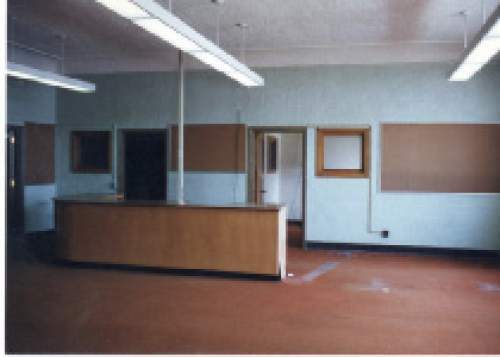 The new $11 million school opened in 1975, and enrollment swelled to 3,000 in 1980. 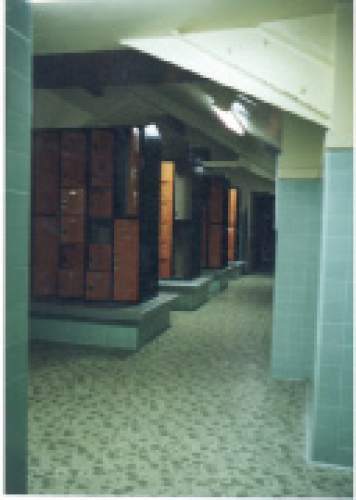 Crump said the old Copperton campus served as a junior high until 1996, and then shut down. It sat vacant until crews razed it in 2002. 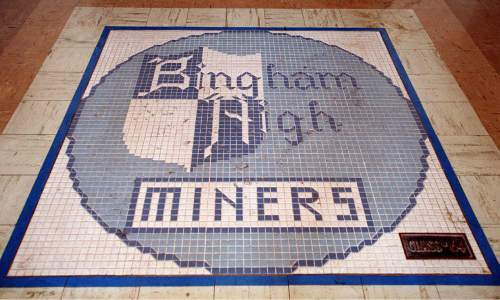 "Your heart breaks," said George Sluga, who attended Bingham High, worked as the old school&apos;s last basketball coach and managed to obtain a piece of the old gym floor. "I [also] salvaged four or five bricks. I wanted to hang on to any part. It still hurts when you drive by. It&apos;s just a big flat line." Lynn Johnson, a Catholic deacon and former Salt Lake Tribune photographer who attended the old school, called Copperton "Ozzie and Harriet-esque." "There were no policemen roaming our halls and, aside from an occasional schoolyard skirmish, it was an idyllic, peaceful environment," he recalled. "Like most of my peers at the time, I did not fully appreciate the blessing of being a Bingham Miner." Joe Sato, one of the last athletes to play at the old school and a longtime coach at the new Bingham High, said the term "Friday Night Lights" described what it was like to play football there. "The stadium was always packed," Sato said, "with people also going up behind the bleachers on the west side to find a place to view the game." Sato  who lettered in football, baseball and basketball  said there seldom was an empty seat in the gym, which sported two balconies, with some floor seating. The baseball field boasted wooden bleachers and a pavilion, with hills behind home plate. 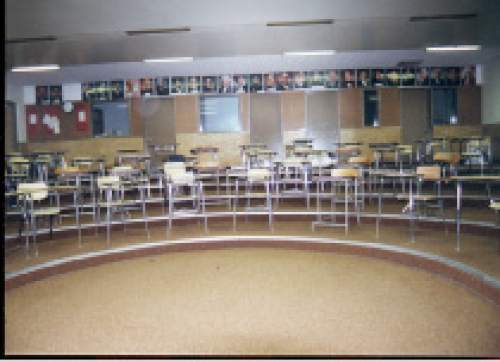 The alumni room at the new high school features a variety of yearbooks, photos and relics from the old campus. 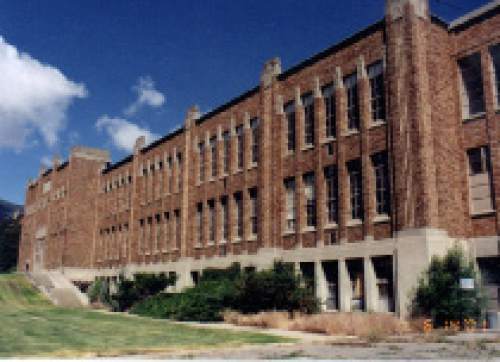 Crump said that alumni of the old Bingham High can relive their school days, of sorts, by visiting Salt Lake Community College&apos;s South City campus at the old South High. That grand building at 1575 S. State St. was designed by the old Bingham High architects, Scott & Welch, and opened a year before the Copperton campus.